If you spend any time traveling internationally for business, you understand the challenge of maintaining a high level of connectivity while keeping costs down. Let's face it, international calling plans are expensive, and frankly the various roaming agreements can be confusing, leaving users trying to remember how much it costs to call from Prague to Paris as opposed to say Peoria or Portofino. 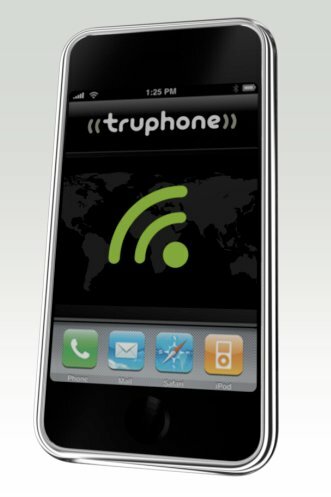 Truphone today announced that their native VoIP client for the iPhone -- developed with Apple's own SDK -- is available at the online iPhone App Store. The application is currently available for download at no charge. The company has been at the forefront of making mobile VoIP inexpensive and easy to use for some time now. The solution routes calls over WiFi, so if you're near a hotspot and need to make a call you can simply call up the Truphone application on your iPhone and place the call. Existing Truphone users will recognize the same simple process for initiating a call: one touch to open the keypad/dialer, the actual dialing of the digits (or simply select a contact from the iPhone's own address book), and one touch to launch the call. That's it. No access codes, no fuss, no muss. Here's a nifty video explaining how the solution works.